Time for another Pinterest Project! 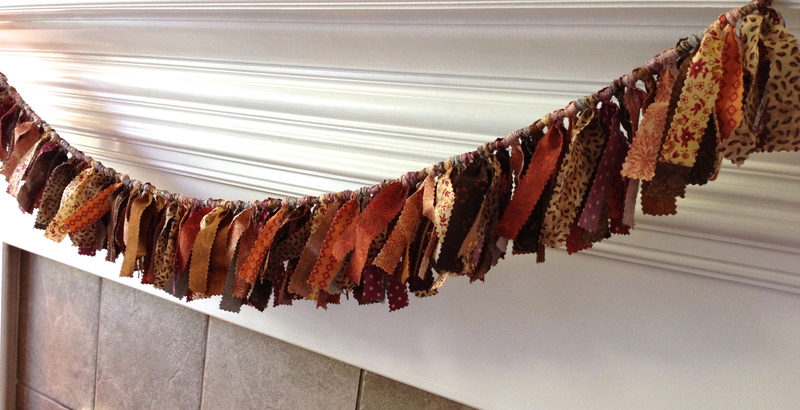 This time it’s a project that has become a part of my Autumn mantel decorations. 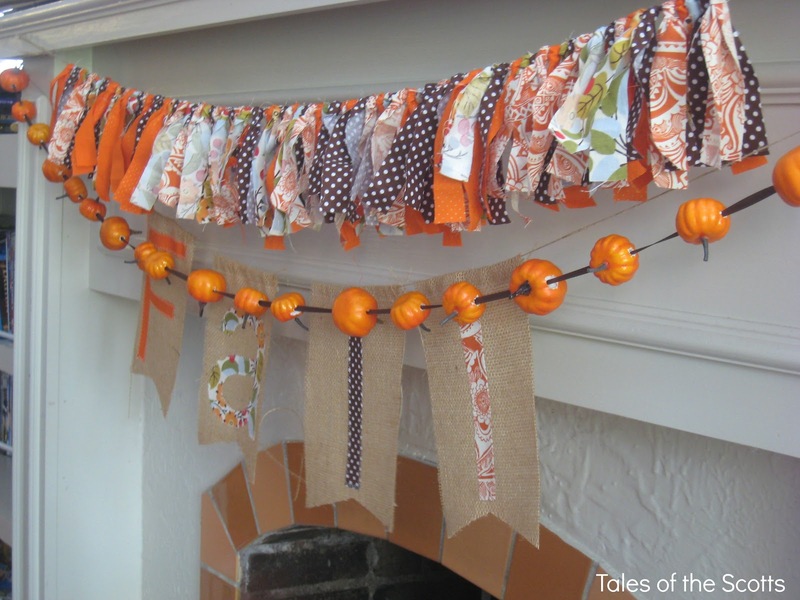 I love, love, LOVE that fabric scrap garland, for a couple of reasons. One, it’s not your average fall garlend – no leaves, no pumpkins. Its got that rustic, cottage feel, which just looks so cozy. Also, I already had everything that I needed to make it. I managed to dig up some thin rope from the garage, and like many fabric lovers, I save scraps from previous projects, so I didn’t have to go out and spend any extra money. I couldn’t have asked for this project to turn out any better! I made a set of Fall place mats, coasters and a table runner a few years ago, and was so excited to be able to put those fabric scraps to good use. I did go with a pair of pinking shears instead of straight cutting the strips because I like the edge texture better, and it will hopefully keep the fabric from getting stringy over time. 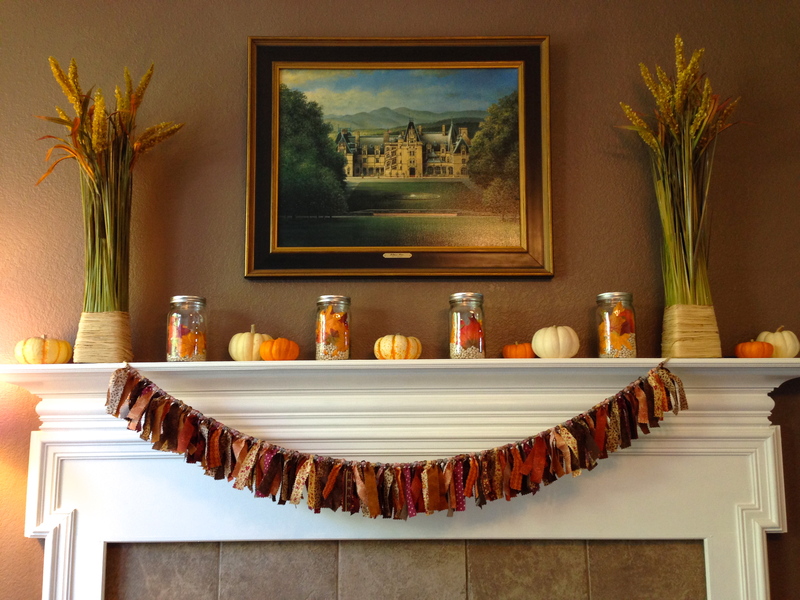 The only downside is that I didn’t have enough scraps to make the garland long enough to stretch all the way across the mantel, but I’m still very pleased with the outcome!